Description: London, Allen Lane. 2000, First Edition. (ISBN: 0713995106) Hard Cover, 9.5 x 6.5 inches. Probably unread. Signed Paddy Ashdown on title page. No other marks or inscriptions. A lovely clean very tight copy with bright unmarked boards and no bumping to corners. Dust jacket not price clipped or marked or torn or creased and very minor traces of storage. 638pp. 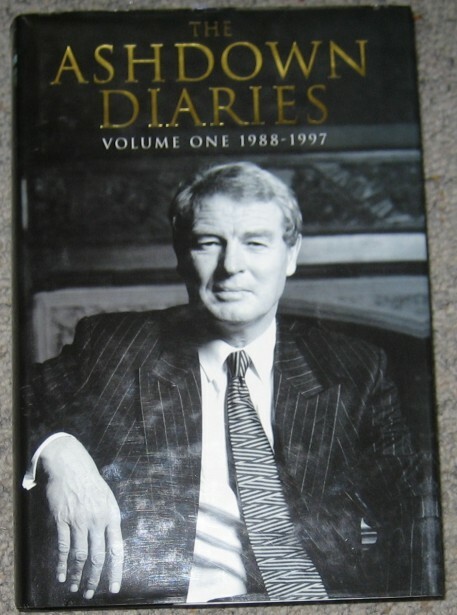 Autobiography of Paddy Ashdown from the time of his election to Leader of the Liberal Democrats to the General Election in 1997. Fine/Fine. Signed by Author.